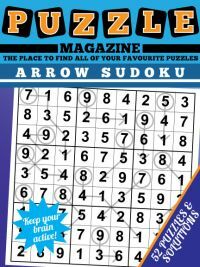 The chances are higher than with most sudoku variants that you won't have come across Arrow Sudoku before. However, that doesn't mean it won't appeal to you once you've had a go at it! 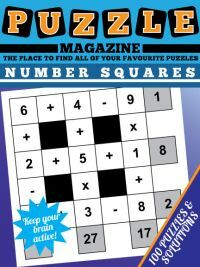 Arrow Sudoku Magazine is a downloadable PDF for you to print that contains 52 Arrow Sudoku puzzles - four per page; followed by the solutions four per page. It is on A4 sized paper. 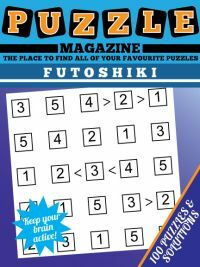 You can print and play the first page of Arrow Sudoku Magazine for free before deciding whether you'd like to buy the rest of the puzzles. 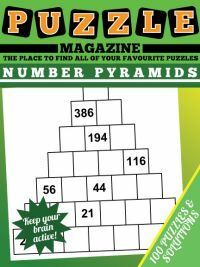 There are two issues of this magazine available for download. 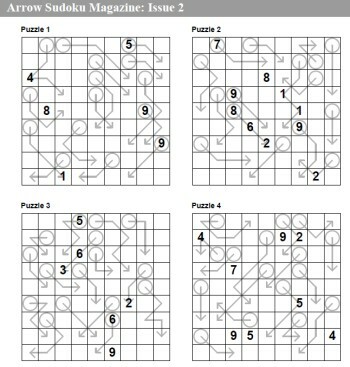 To, what is arrow sudoku? Well, you'll see to the right the starting position of an arrow sudoku grid. As with vanilla sudoku, the aim is to place 1 - 9 once in each row, column and 3x3 box. However, there are significantly fewer givens than in plain sudoku, and there are arrows in the grid. The arrows have two parts: the circled cell, and the body of the arrow. The key rule is this: the circled cell contains the sum total of the cells along the body of the arrow. Thus the first arrow in the puzzle at the top left of the grid tells us that the number in the first cell of row one is the sum total of the numbers in the second and third cells. So, if cells two and three contain '5' and '3', then the circled cell must contain '8' since 5 + 3 = 8. It is allowable to repeat a digit along the body of an arrow, providing that this does not break the usual sudoku rule that repetition is NOT allowed in a row, column or 3x3 box region. Indeed, some arrows must of course have repeated values along their length: you will see that the fifth cell in row one is the sum total of five other cells: since 1+2+3+4+5 = 15, then clearly there must be repetition of numbers to make this sum possible. 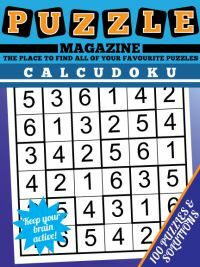 Although it may appear a daunting challenge, arrow sudoku is actually one of the most enjoyable variants of sudoku puzzle that there is. 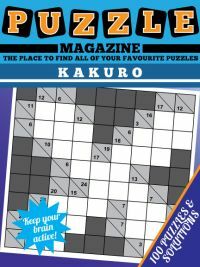 With its mix of standard sudoku solving logic and the interesting subtleties introduced by the arrows that is similar but more enjoyable than that in either kakuro or killer sudoku, it is a puzzle that we think you'll enjoy. If you find the going tough, stick with it, and you'll soon find the interesting interplay of how reducing the options for one arrow helps you whittle down the options elsewhere in the puzzle until the solution starts to unfold. Each arrow sudoku has just one solution, and that solution can be applied through the application of logical rules: you won't need to guess!